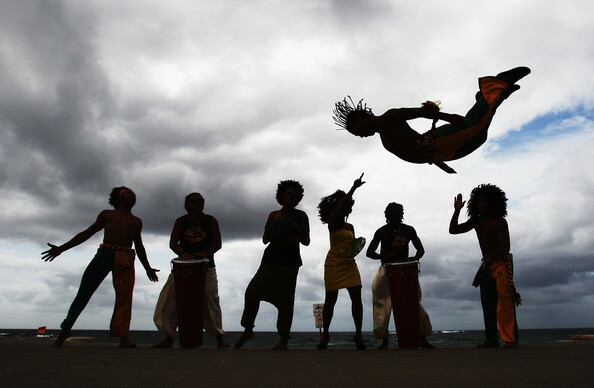 The martial art of Capoeira is traced back to over 400 years ago in Brazil through the African slaves. This martial art is unlike any of the other martial arts there is anywhere in the world, and possesses a blend of beauty, mental balance, physical power, music, and an overwhelming sense of art and finesse. 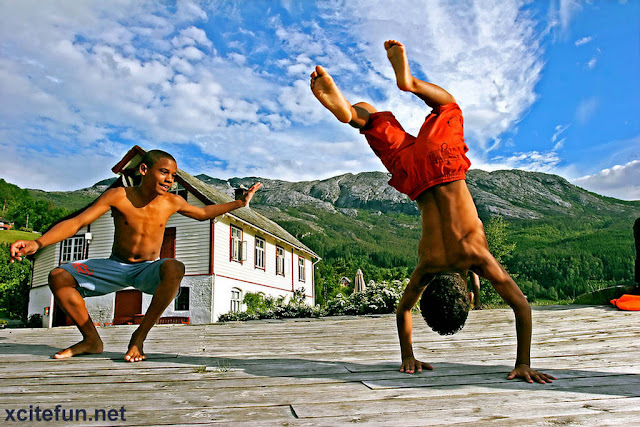 Capoeira proved to the world that it can be practiced by anyone, regardless of size, weight, or age. The style, more than a martial art, is also a social event that is rich in tradition and history. 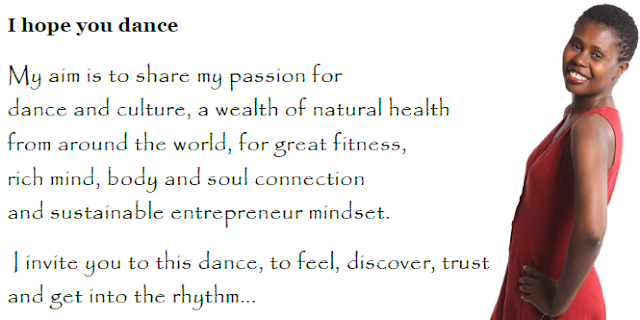 Capoeira is a truly powerful martial art, a collaboration of music, dance, and fighting movements, and even a game. Those who witness Capoeira games will note the music. Both the music and the lyrics play a big part in the way that the game (known as jogo) is conducted. For the players, there are several different rhythms that call for different speeds. When watching the game played, spectators are normally in awe from the movements. The jogo consists of a circle, with the players in the middle and the musicians at the foot of the circle. Players that enter the game will enter into the circle, with a spring, cartwheel, or other type of visually stunning movement. Upon entering the circle, players will compete back and forth with various combinations of poetic movements and breathtaking aerial displays. 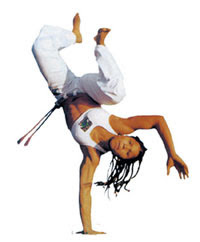 It takes years of practice and hard work to become great at the jogo, as it requires precision, fast movement, and flawless application of the Capoeira techniques. From a defensive standpoint, Capoeira is flashy, very creative, and also very useful, as the techniques seem to come out of nowhere and can be very hard to defend against. The opponent or attacker has no clue what to expect from the student. 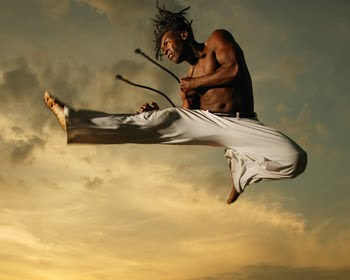 The Capoeira student defends himself through the use of dancing movements and acrobatic techniques, executing perfect movements that up until Capoeira, were only dreamed of. Capoeira and the jogo game are really big in Brazil, with hundreds of students learning the martial art. It isn't one of the most popular in the United States, although it is offered. In South America it is more of a lifestyle, with jogo games being played on a daily basis. Over the last couple of decades, the art has grown a lot. In 1974, the art of Capoeira became the national sport of Brazil, proving that just about everyone in Brazil had accepted it. As time continues to pass, you can count on more and more competitions and dojo's to surface - introducing this truly excellent martial art to newer generations.